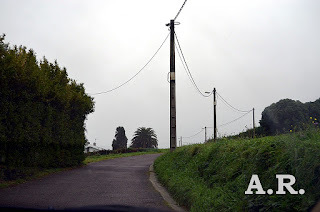 Muchas veces los viajes los hace uno como conductor pero, de tiempo en tiempo, es bueno ir de copiloto con la cámara de fotos tomando vistas de la carretera, del paisaje que vamos recorriendo. En este caso es la zona próxima a la playa de Bayas, debajo prácticamente del aeropuerto de Asturias en Ranón. En la primera de las fotos los postes nos indican por donde va la línea de la carretera. En las otras fotos vemos, como muchas veces sucede en Asturias, casas al borde mismo de la carretera. Travel often makes one driver but from time to time, it is good to go copilot with the camera taking views of the road, the landscape we walk. In this case it is next to the beach of Bayas area under practically Ranon Asturias Airport. In the first photo posts will indicate where the line of the road. 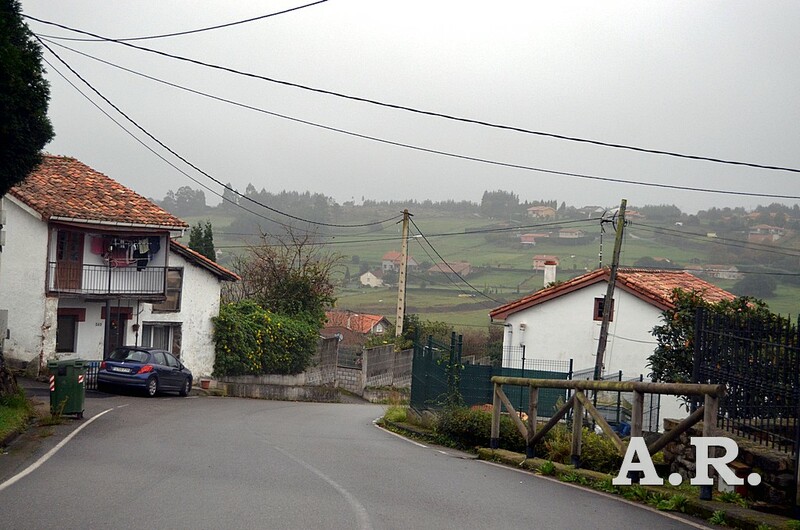 In the other pictures we see, as often it happens in Asturias, houses at the edge of the road. 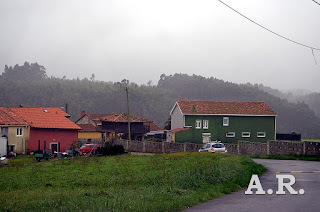 The Island of La Deva and Playon de Bayas is declared a natural monument located in the Principality of Asturias, on land in the municipality of Castrillón and Soto del Barco, east of the mouth of the river Nalon whole.